"The staff is nice and friendly." 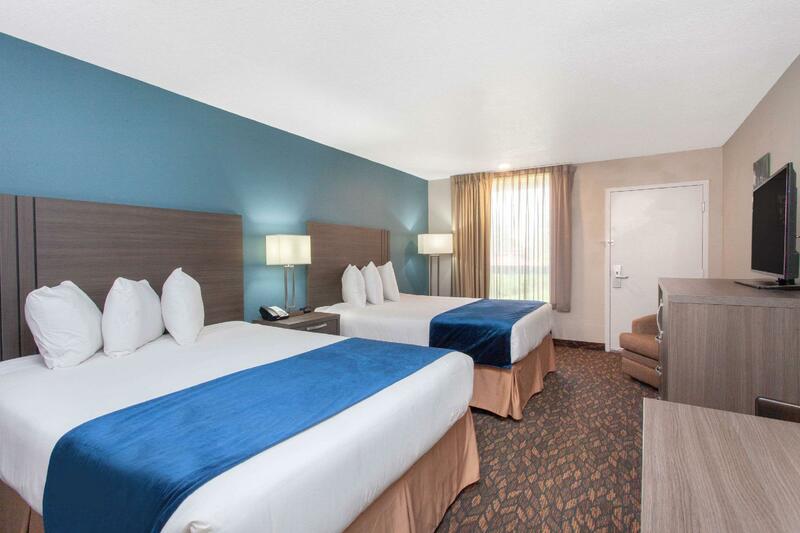 Have a question for Baymont By Wyndham Orlando Universal Blvd? 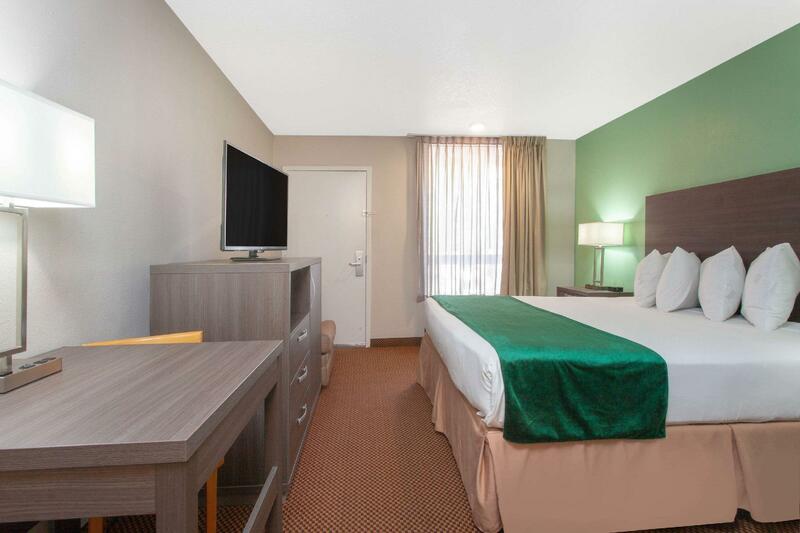 "Great location, clean room, hotel staff were friendly and helpful." "Enjoyed the breakfast to start our day, look forward to staying here next year." "The staff was very friendly." 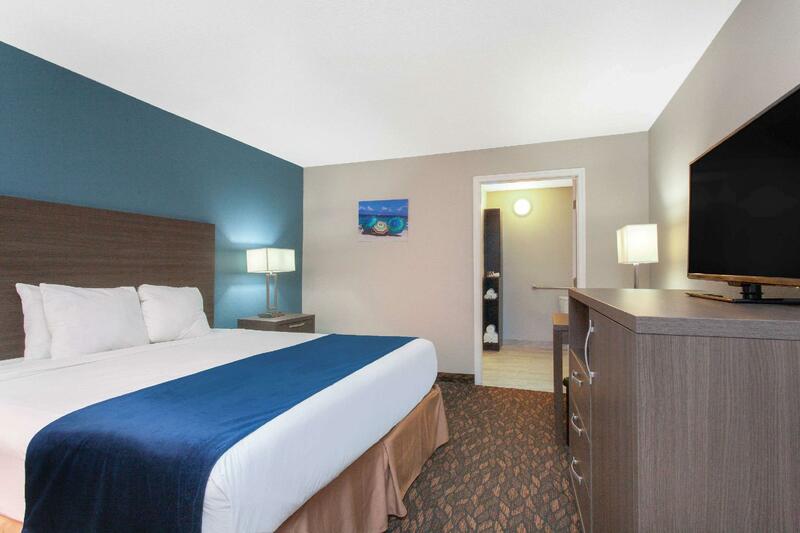 For travelers looking to be within reach of the theme parks without having to pay the extra prices, this hotel is a fine choice. Cool off at Wet N' Wild during the summer months or head over to Walt Disney and Universal Studios with ease; this hotel is remarkably located for travelers not interested in having to pay the extra price for taxi cabs; the trolley stops right near the hotel! And for guests traveling with kids, you'll be happy to know the hotel boasts its very own kiddy pool and larger adult swimming pool. In a nice little outdoor setting and surrounded by palm trees, this quiet outdoor environment is perfect for winding down after a day of travel.Take breakfast in the restaurant, pick up a newspaper, have a dip in the pool, grab the kids, and head out to Orlando's exciting attractions on the trolley. may need to take uber or lyft to go out. Value for money. Breakfast is also not bad. The staff was very friendly. The room was ok. The floor was kinda nasty. Great location. Breakfast was not that good! Thought it was closer to where my son lived when I first signed up, found out that it was 30 minutes away. It turned out to be a pretty much a good hotel! Stayed four days with my daughter to attend a show at the conference center. 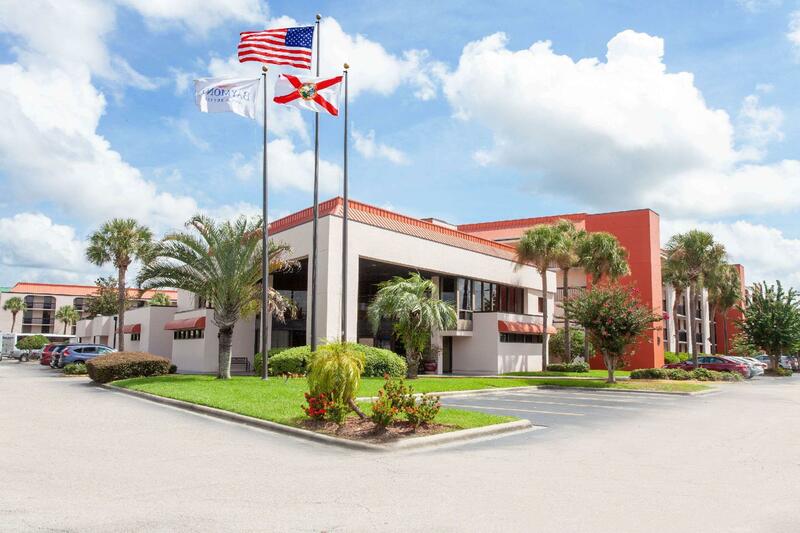 Great location, clean room, hotel staff were friendly and helpful. Enjoyed the breakfast to start our day, look forward to staying here next year. Stayed there for four nights when visiting the Universal theme parks. They have a shuttle service for the parks but timing wasn't great so we didn't use that. Breakfast spread was decent. Food was cold but still grateful that there was breakfast provided. Many other food options within a few minutes' drive too. Elevator and walkways could use a good cleaning. Room was clean and beds were comfortable. Great location. We stayed at this hotel from fri-Sunday to go to universal , this hotel is about 7min from universal studios , the front desk staff is awesome check in was quick , room was big and clean , the free breakfast was awesome , lots of choices and large seating area . Would definitely rent there again !! The reason I give 4 star is the toilet seat very loose almost fall off and the bathtub faucet is loosely too (room 213). The staff is nice and friendly. Although the price was cheap, they charged a 5 dollar resort fee for a decrepit run down hotel. This place has def seen its better days. It met my needs because I was only there 1 night to make an early flight. Would not recommend it for anything else. Very noisy from late night workers --- reminded me of a third world country. Acceptable for the price but better values are available for just a few dollars more. Was disappointed that the resort fee was not disclosed at time of booking. Had I known I would have chosen a different option. Comfortable room and bed. Central location. Disappointing pool and workout room. Very disappointing breakfast.